Assumption: Charged particles originate from volcanoes on Jupiter's moon Io, they come from there and stay in the magnetic field around the earth's atmosphere, a similar area to the place where they stay around Jupiter, and when there is a thundercloud, and for some reason, they get attracted to particles in it; they strike the thundercloud at the speed of light, penetrating the atmosphere, creating lightning strikes between clouds, and sometimes, for another reason, they bypass the thundercloud to ground creating lightning strikes on the ground. The dominant theory suggests static electricity in clouds, experiments have shown that this theory is incorrect. QUOTE: "The main problem is that we don't know how a thundercloud gets the spark needed to initiate a lightning bolt. The biggest mystery is that the electric field in thunderclouds is not very large. Years of experimental measurements from aeroplanes and air balloons have shown that the field is about 10 times smaller than what is needed to initiate lightning. It is not clear how a lightning bolt is born, but the idea is that something has to "seed" it first." QUOTE: "Using data from northern Europe, the researchers found there was an average of 422 lightning strikes in the 40 days after the high-speed solar wind arrived, compared with 321 strikes in the 40 days prior." The numbers in the quote above show that solar wind give more energy to something that is already existing in the atmosphere or the magnetic field, but the solar wind itself does not play a major role in the process.. The earth will still have lightning strikes even in the absence of solar wind, but slightly less! 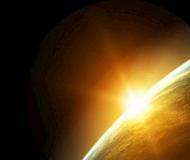 QUOTE: "Earth's magnetic fields shields Earth and its atmosphere from most of the radiation emitted by the sun. But some high-energy particles sneak into the upper atmosphere, causing colorful auroras near the poles." According to the quote above, the charged particles emitted by the sun do not penetrate the earth's atmosphere all the way down to ground, but only some of them "sneak" into the upper atmosphere. What causes lightning in volcanic eruptions? QUOTE: "Scientists think that the charged particles responsible for volcanic lightning may originate from both the material ejected from the volcano and through charge formation processes within ash clouds moving through the atmosphere. However, only a few scientific studies have been conducted on volcanic lightning to date. Hence, the exact cause of volcanic lightning is still being actively debated." Basically volcanic lightning is just another mystery! If we use the common sense, we should initially assume that lightning in volcanic eruptions and lightning in clouds are caused by the same thing. 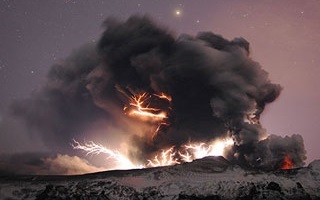 Both volcanic and cloud Lightning must be created by very powerful electrically charged particles, and since we know for sure that volcanic lightning is coming from underground, we should search for volcanoes in the "sky" that can produce particles that are the same as those coming out from earth's volcanoes. 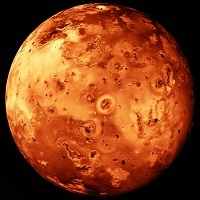 QUOTE: "Jupiter's moon Io is the most volcanically active world in the Solar System, with hundreds of volcanoes, some erupting lava fountains dozens of miles (or kilometers) high." QUOTE: "Io plays a significant role in shaping Jupiter's magnetic field, acting as an electric generator that can develop 400,000 volts across itself and create an electric current of 3 million amperes, releasing ions that give Jupiter a magnetic field inflated to more than twice the size it would otherwise have. The magnetosphere of Jupiter sweeps up gases and dust from Io's thin atmosphere at a rate of 1 tonne per second. This material is mostly composed of ionized and atomic sulfur, oxygen and chlorine; atomic sodium and potassium; molecular sulfur dioxide and sulfur; and sodium chloride dust. These materials originate from Io's volcanic activity, but the material that escapes to Jupiter's magnetic field and into interplanetary space comes directly from Io's atmosphere." The charged particles from the sun are not of the same material as those produced by Io's volcanoes, and because they are different, Io's particles penetrate the atmosphere while the sun's particles do not. 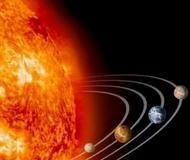 QUOTE: "Jupiter's magnetosphere ejects streams of high-energy electrons and ions (energy up to tens megaelectronvolts), which travel as far as Earth's orbit. These streams are highly collimated [straight line rays] and vary with the rotational period of the planet like the radio emissions. In this respect as well, Jupiter shows similarity to a pulsar." What we see in the quote above is that particles from Jupiter indeed reach the earth's orbit. Now you can think of this process as a transfer of particles from one planet's magnetic field to another planet's magnetic field.. Jupiter has got these high-energy particles from the moon Io. QUOTE: "a rare lightning bolt shooting out upwards from a cloud, almost to the edge of the Earth's atmosphere... But why some lightning goes up and other bolts go down isn't known." In some cases, lightning has been seen shooting up, the picture and quote to the right is an example. Regardless of the exact physics behind this phenomenon, it gives us an idea that there is an attraction force between something inside the clouds and something else above the earth's atmosphere; normally the thing that is above the atmosphere goes down, but in rare cases the process is reversed. Now you may say if the assumption in this page is correct, Jupiter should have much more lightning strikes than earth. 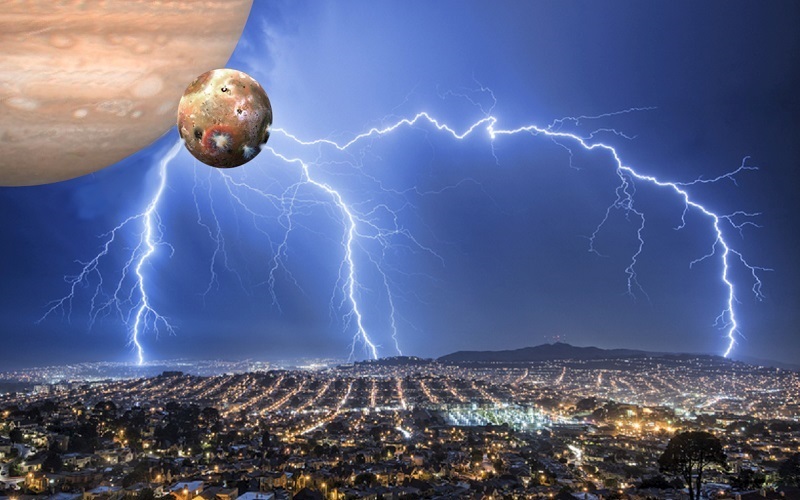 There are reports about Jupiter having more lightning strikes than earth, but Jupiter and earth are two completely different planets, if a rule applies to one, it may not apply to the other in exactly the same manner, so we cannot take the amount of lightning activity as the only factor in judging whether the assumption is correct or not, but we can take it as a common factor.